Dr Uta has worked in Yayasan Bali Peduli’s Klinic Anggrek at Sayan Puskesmas II for the past two years. He has been instrumental in the testing, treatment and counseling of patients in the Gianyar Regency. Dr Uta was selected for a prestigious scholarship through the Government of Indonesia which will take him all the way to England. He will be based at the University of Birmingham where he will study for a Masters of Clinical Oncology. 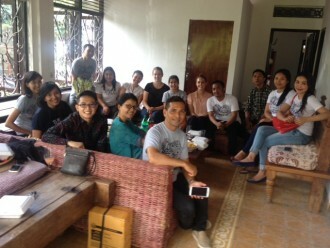 From all staff at Yayasan Bali Peduli, a big thank you to Dr Uta for his service and best of luck in England.